Mood: Happy in the gloom. It was unreasonably gloomy in Wash Park. 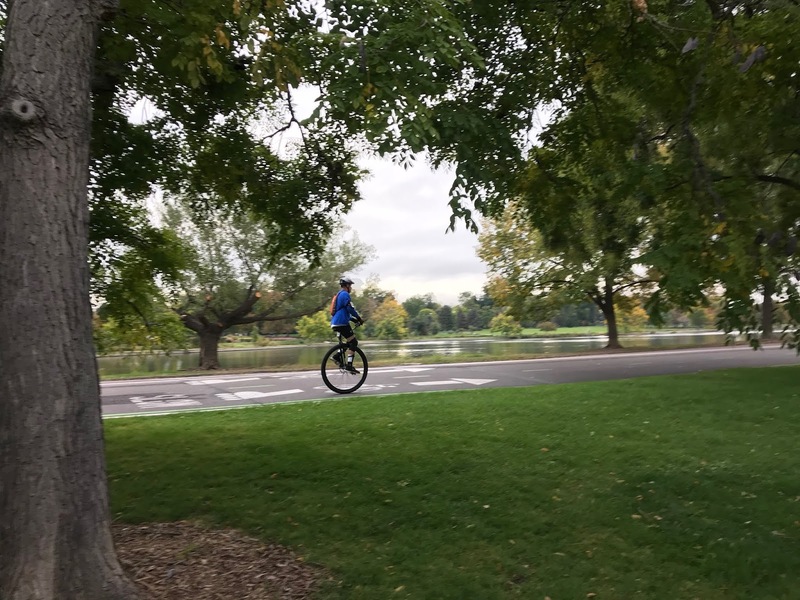 However, I was happy, because I had a tremendous run, but also because unicycle guy was back again and I got a much closer photo of his antics! The gloom turned out to be prophetic, as both the Broncos and Rockies lost in super depressing fashion. The Broncos were pounded by the woeful Jets and the Rockies were shut out to get swept out of the playoffs by the Brewers. 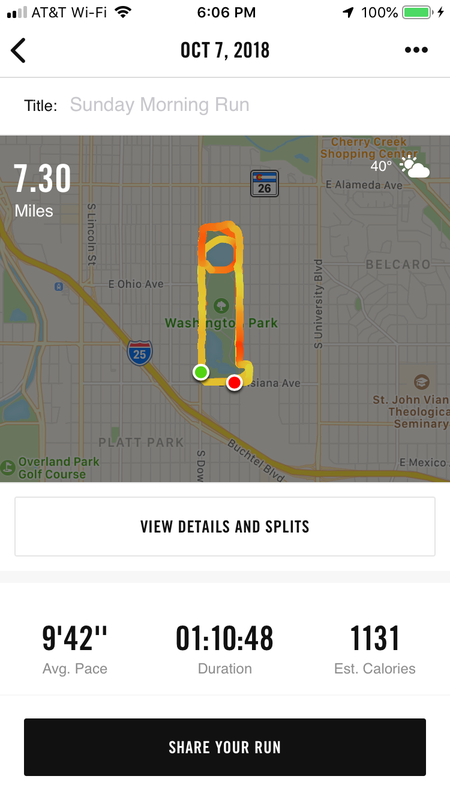 So, good morning run, terrible sports day...but the unicycle guy was there, so all was not lost.